To increase water efficiency, we started using new technologies like Sprinkler, Drip, Shade net and poly houses now plastic mulching etc. No doubt, they are water efficient and yields are also high. Shadenet n poly houses are used as a controlled environment for producing crops in high yields used in conjunction with drip irrigation. 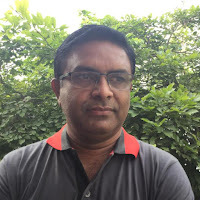 Cost of investment and maintenance is high.Poly house costs around 50 lakhs per Acre.Shade net house and 25 lakhs per acre.including all installations.even after 80% subsidy, a farmer have to pay 10 lakhs. 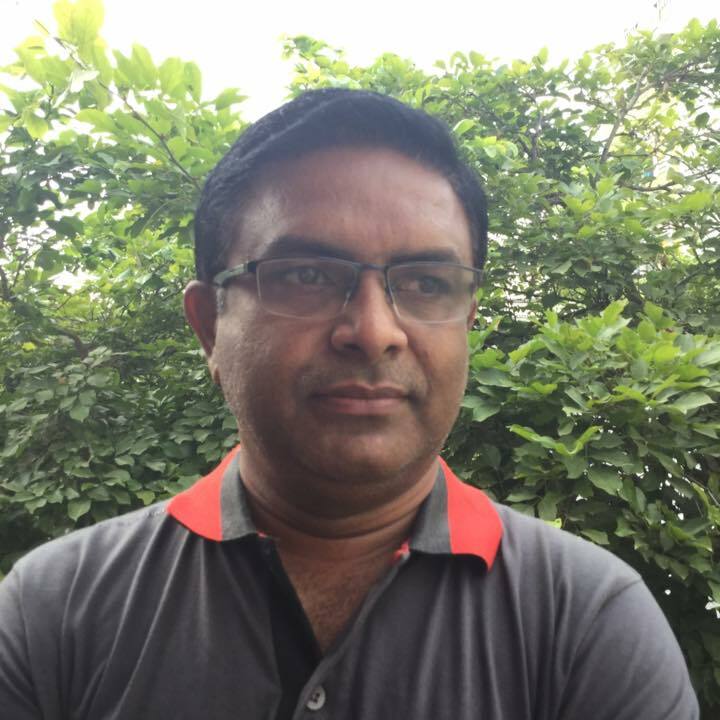 Apllications of polyhouse in all regions of India n crops are limited . In coastal areas, hot and arid regions it generates too much humidity though new types of polyhouse enabling humidity control are available . (Kheti - An NGO in Shadnagar has come up with low cost polyhouses.. cost less than 1 lakh can alter according to crop requirements and foggers available to cool down).point here is high cost even after subsidy.how many can afford to pay 10 lakhs after subsidy? Though yields are 10 times more.but still total area has not exceeded 10% under this cultivation in India. In Telangana last year target was 1000 Acres hardly 200 Acres are installed..
Now let us see Drip n sprinkler costs subsidy is also avilable for that.. Sprinkler, drip subsidy is depend on caste in Telugu states. SC/st almost free, BC 80%subsidy, oc up to 50% in India, around 80% farmers are small and marginal..With land holdings < 2 ha small and < 1 ha marginal..most of these farmers cannot afford all drip/poly even after subsidy. Here we are trying to come to discuss cheapway for these farmers let us see how its done. 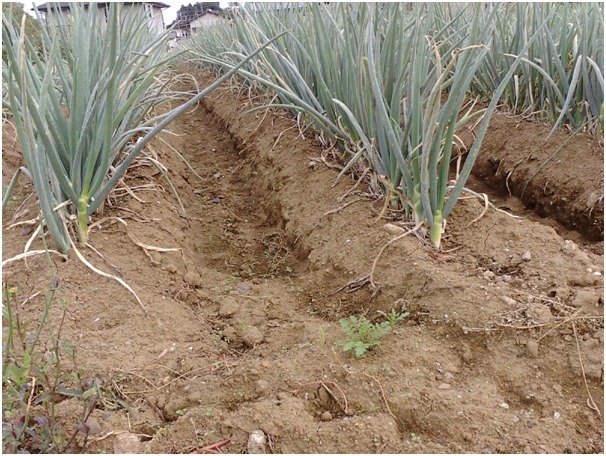 It is open field cultivation and not new also.suitable to most of the crops and soils. 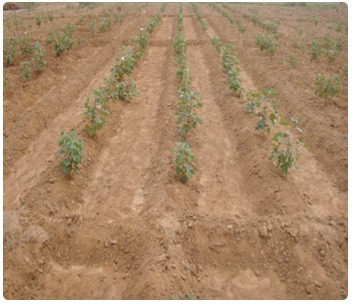 This is ridge and furrow planting suitable for almost all soils except coarse sandy soils.In sandy soils water infiltrates rapidly. 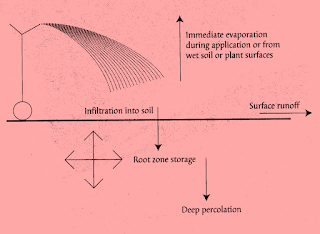 Furrows should be short so that water will reach the downstream end without excessive percolation losses.Percolation is water going beyond root zone, which is wastage. In clay soils, the infiltration rate is much lower than in sandy soils. Furrows can be much longer on clayey than on sandy soils. 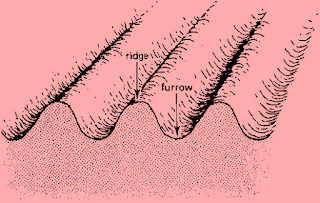 Land should be flat or slant but uniformity should maintain to make ridge&furrows. 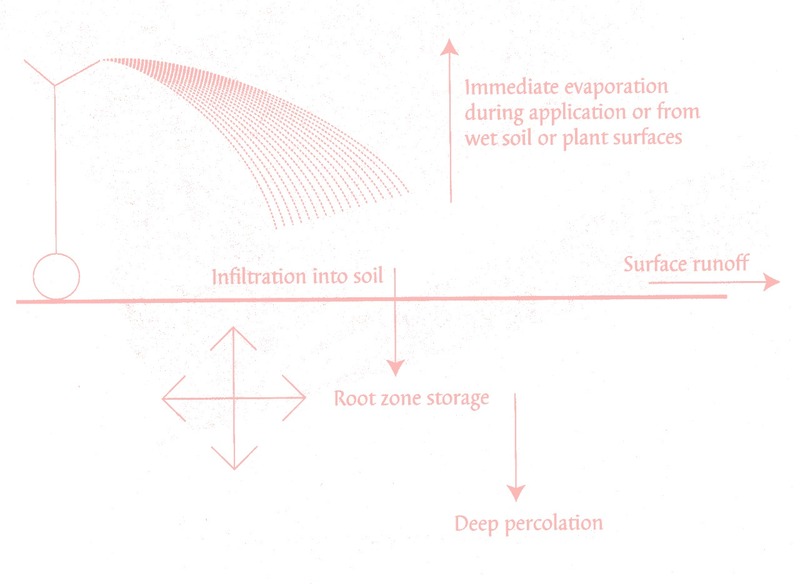 Land preparation with 0.05% slope is essential, this facilitates water flow and also drainage during heavy rains.. This way we can save more water.Here the basic idea of furrow n ridges is to provide water supply up to root zone only.water flows in furrows only, on bed/ridges no moisture. The distance between ridge to ridge varies based on soil type and more important based on rows you opt to plant on ridges. Plant roots are at shown arrow marks.Labour can also do with spades.marking lines have to be drawn.some times may not be straight also. most of the farmers are doing it in vegetable farms.we have not paid attention. Take care of your water outlet size.synchronize accordingly.you come to know once the process starts. 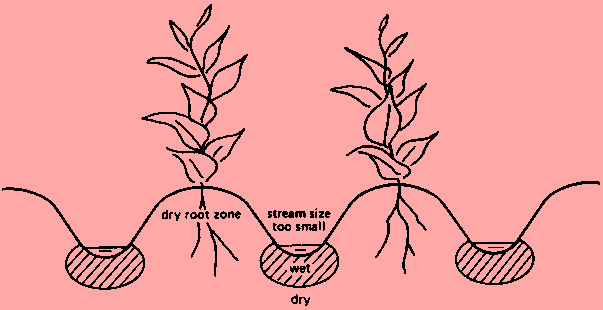 If stream size is small no proper wetting happens at root zone. 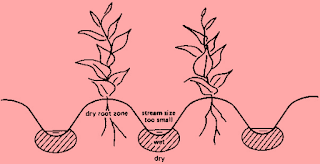 if stream size is large overflow leads erosion and weed growth. 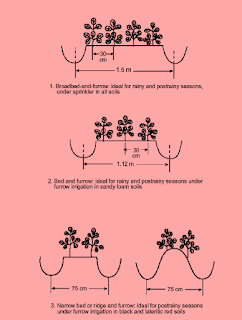 Where to plant seeds / saplings on ridge / furrow? In rainy season, seeding on top/ridges. In summer season, seeding in furrows. 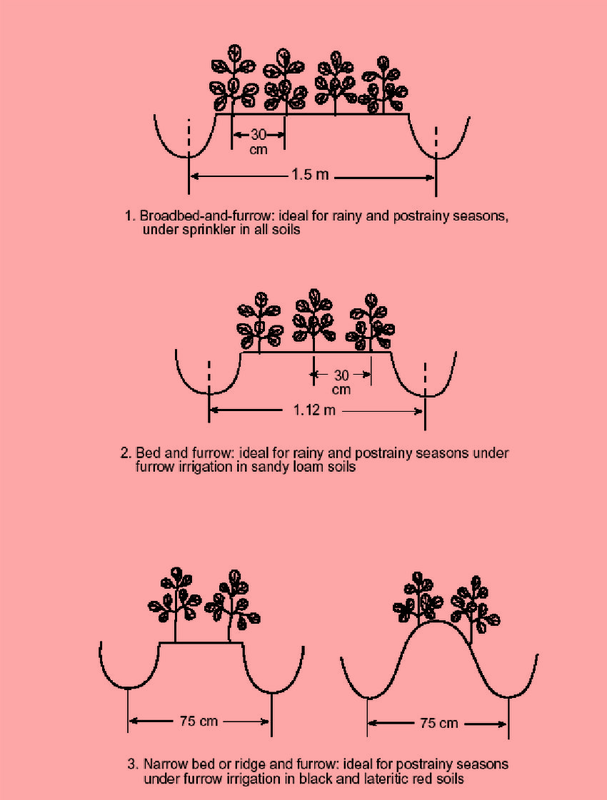 Most of the farmers do on slopes of ridges, by that way you can have 2 plants on a ridge on both sides. 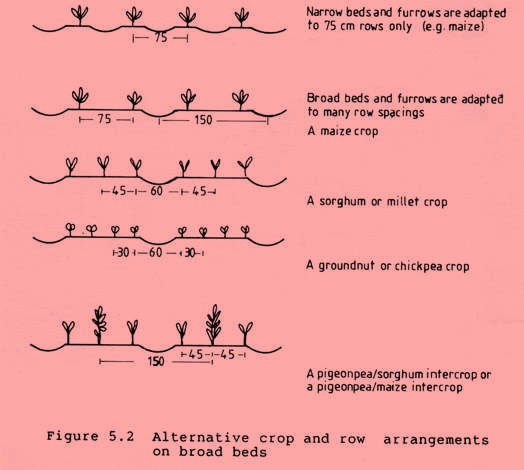 yes as per crop spacing.some times may have to compromise a little bit to make convenient beds. For example row to row spacing 50 cm + 15 cm on either side, make the width of bed to 65 cm. so in this Ridge n furrow. less water requirement, minimal weed growth and easy cultural operations on bed can be achieved. if drip irrigation is used on ridge and furrow for vegetable crops, incorporate drip along with mulching even increased yield up to 20%. We can have 2 rows with dripper in the middle of the row on one bed.